Choosing the right kind of flooring gives the final perfect touch to the look or décor that you are trying to achieve and selecting the right colour or kind of wood for the flooring is not the only important decision that you have to make in this respect. You also have to be very keen in selecting the right floor fitters for this job. 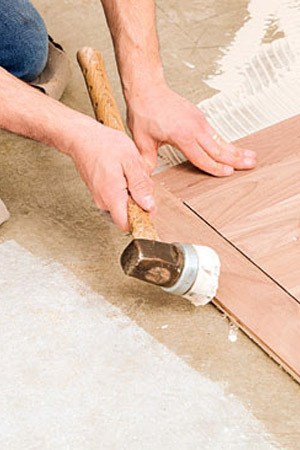 Floor fitting is not an easy task and requires a lot of technical knowledge and training. We carry out each and every installation with care and dedication ensuring your absolute satisfaction.